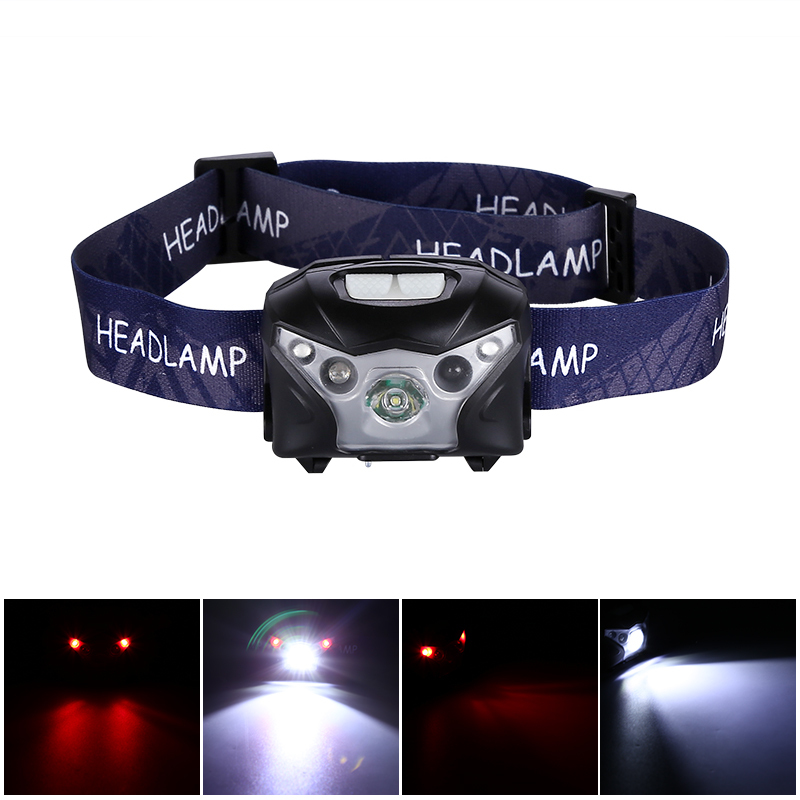 Successfully Added 5 Watt LED Headlamp - 160 Lumen, 3 Light Functions, 1200mAh Battery, Hands Free Operation, RED SOS LEDs to your Shopping Cart. 160 Lumen LED headlamp to light your way in the dark. Hands-free operation mode lets you turn the lamp on or off at the wave of a hand. Red LEDs for SOS function. 1200mAh battery offers long usage times from a single charge. This 160 lumen LED headlamp is the perfect accessory for hiking, running, playing or working in the dark. As well as the standard bright white light that you'd expect form a headlamp this torch also includes two red LEDs that are great for getting people's attention, especially in strobe mode. Superb if you find yourself out on the roads at night or want to attract someone's attention. The most impressive feature of this LED head torch is the hands-free function. This cleaver setting lets you turn on and off the lamp by waving your hand in front of it. An PIR lamp and detector can be activated by pressing the and holding the on button for 3 seconds. Then each time you pass your hand within 15CM of the lamp the white LED will turn on or off. This is a perfect feature that keeps your hands free and makes working in the dark hassle free. 3 Lighting modes for both the white and red LED lights ensure you can get the most from this headlamp's 1200mAh battery. The rechargeable lithium-ion battery lets you get up to 30 hours of usage time in economic mode or around 4 hours when used at full brightness. This fantastic LED head torch comes with 12 months warranty, brought to you by the leader in electronic devices as well as wholesale LED lights and lamps..